Well…OK…so it’s wrapped at the moment but I know a certain kid who’ll get poor Sneaky unstuck and get his desk back to normal in a flash. ← Day 25 – Come on, ride the train, hey, ride it. Cherie St.Hilaire Miller liked this on Facebook. Kimberly Ohse liked this on Facebook. Cara Zamelsky Capela liked this on Facebook. Aimee, I tell her that just about every night when she starts her elf planning! C thinks his wrapped desk is pretty! He only made me unwrap the chair. 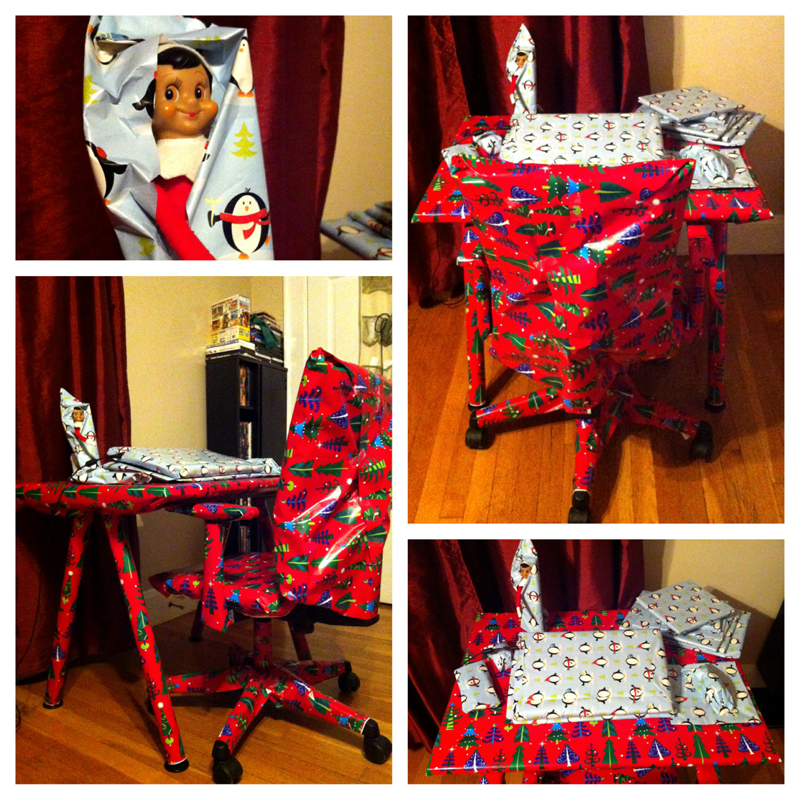 He unwrapped the laptop. After he gets home the mouse will be next but he might leave the rest, lol.